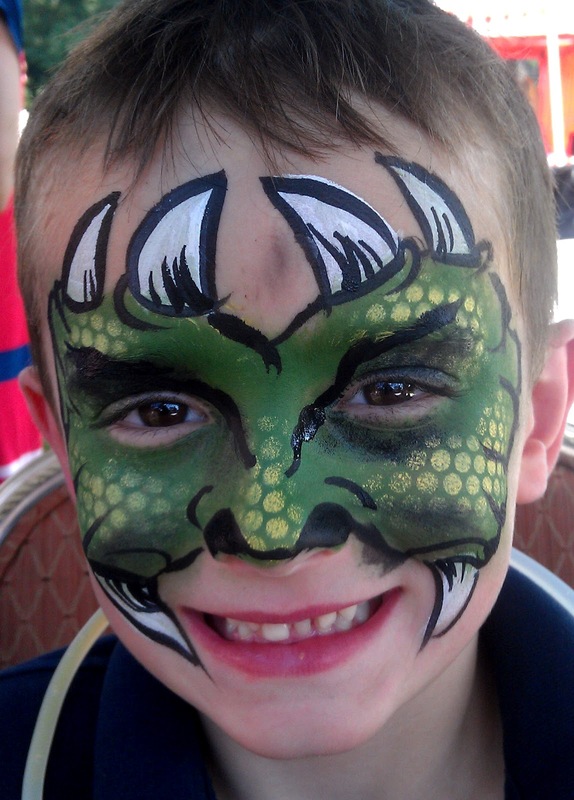 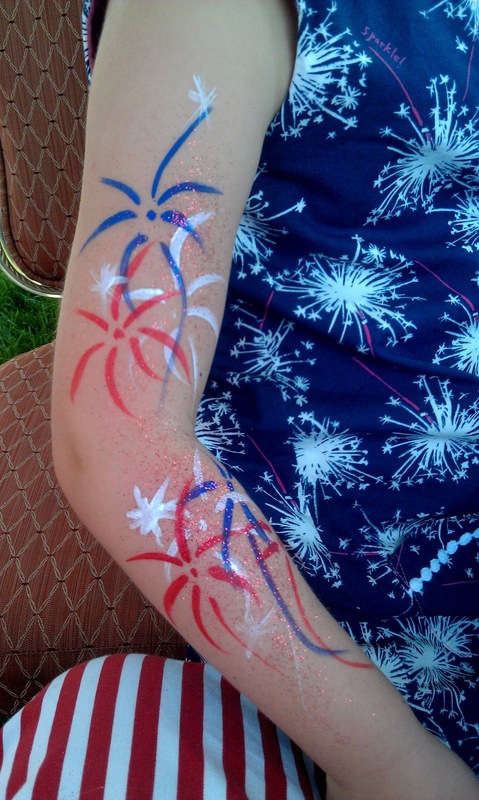 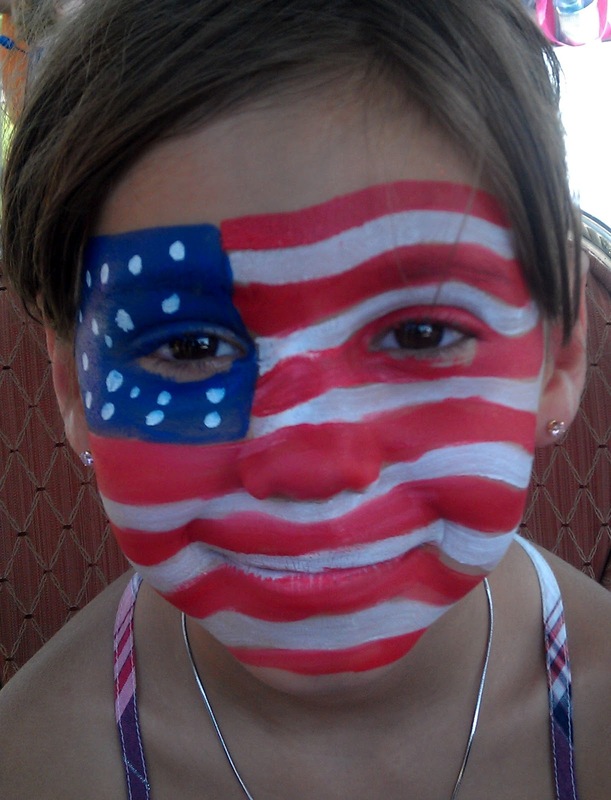 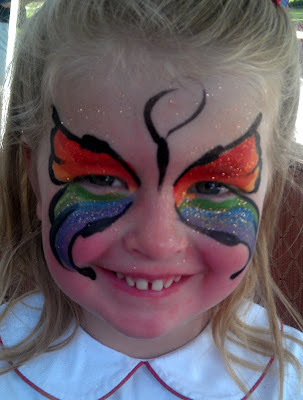 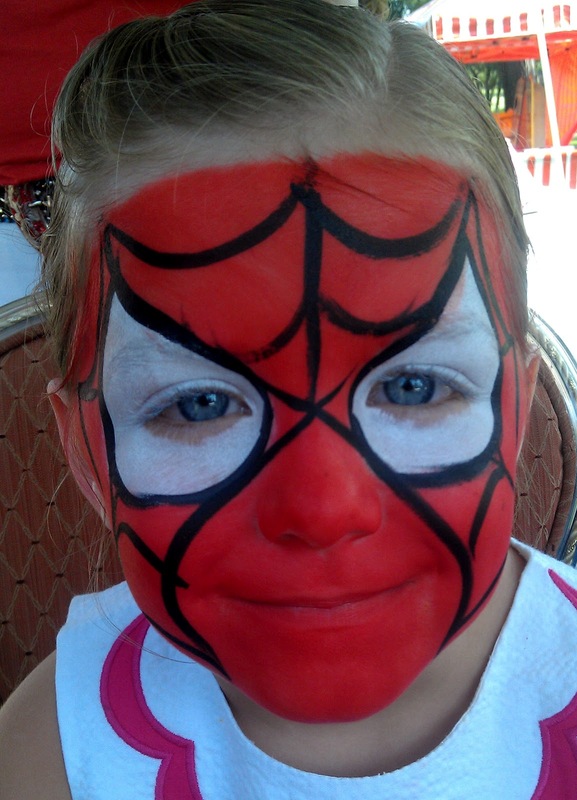 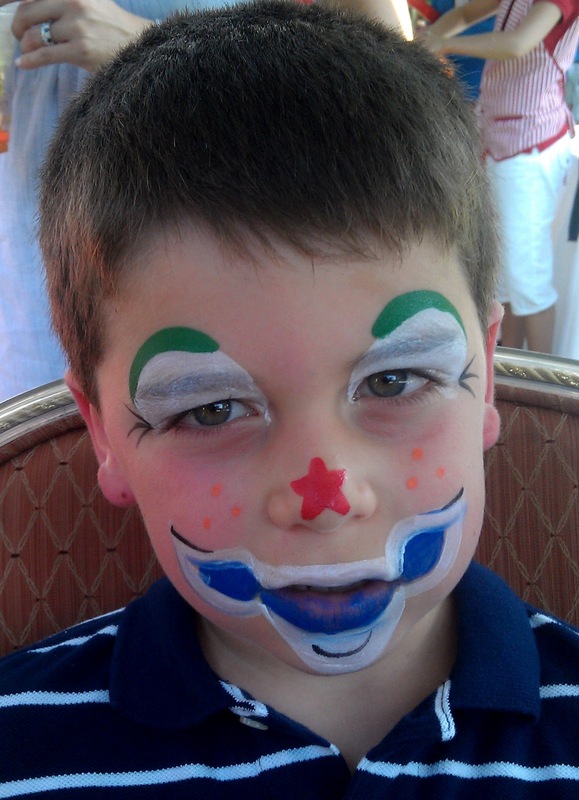 Happy Indpendence Day, the Face Painter's Way! I painted at my annual appearance on Wednesday at the Ridgewood Country Club's 4th of July party. I love that so many of the kids remember me and come looking for me. I had some fun ones this year, like my first-ever request for Yoda! 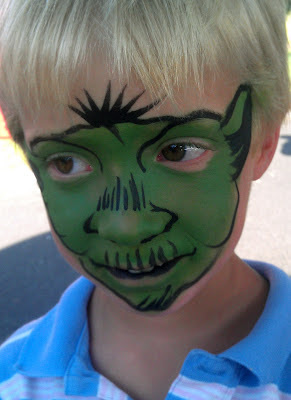 Star Wars was popular this year, and I had two more Yodas plus a couple of Darth Mauls. Some of those had requested Darth Vader, but I talked them out of it, since I've yet to figure out how to make a fully black face defined like a Darth Vader mask. I love trying new things, but even I have my limitations. 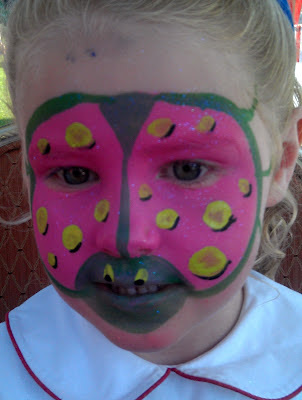 I also did my first pink & green ladybug, at this young lady's request. 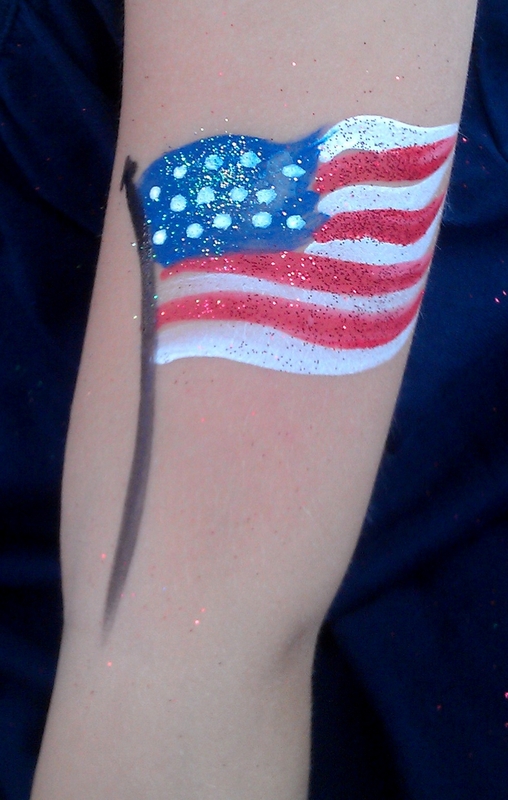 I think it's pretty cute! 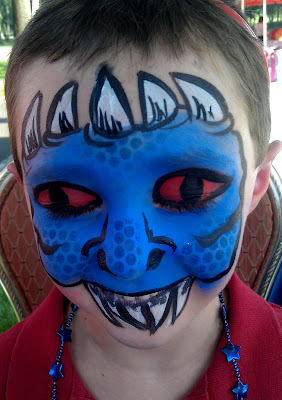 As is my first blue dragon with red eyes, as specified by my model. And another first, a poison dart frog. 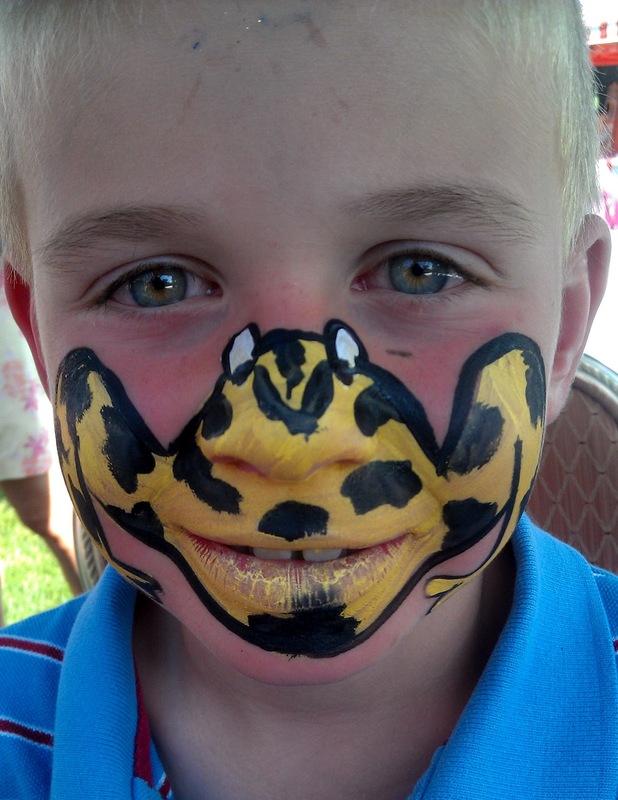 I happen to love poison dart frogs, so I was really happy to get this request. 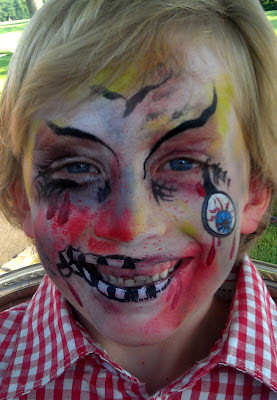 And then some old standards, rainbow butterflies, monsters, Spideygirl, a clown, and zombies. What's the 4th of July without zombies? And of course, the regular 4th of July hits, flags & fireworks!